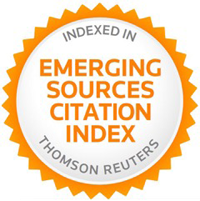 EDP Sciences are pleased to announce that EPJ Nuclear Sciences and Technologies (EPJ-N) has been accepted for indexing in the Thomson Reuters Emerging Sources Citation Index (ESCI). 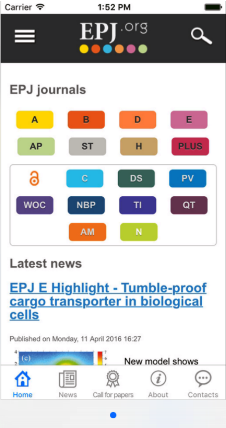 This means that articles published in the journal will be searchable, discoverable and citable via Web of Science. ESCI expands the depth of indexed publications in Web of Science by providing earlier visibility for sources under evaluation as part of the Science Citation Index Expanded™ (SCIE) rigorous journal selection process. ESCI includes high-quality, peer-reviewed publications of regional importance and in emerging scientific fields and therefore makes additional content of importance to funders, opinion leaders, and evaluators visible in Web of Science. EPJ-N is a fully open access journal for the communication of original research, ideas and developments in all areas of the peaceful use of nuclear energy, as well as on applications of nuclear particles and radiation. EPJ N is a forum for the communication of original research, ideas and developments in all areas of the peaceful use of nuclear energy, as well as on applications of nuclear particles and radiation and aims to serve its academic community, industry professionals, research institutions, government agencies and policy-makers concerned with the research, technological development and application of nuclear science and technology. Jean-Luc Lecouey, Anatoly Kochetkov, Antonin Krása, Peter Baeten, Vincente Bécares, Annick Billebaud, Sébastien Chabod, Thibault Chevret, Xavier Doligez, François-René Lecolley et al. EDP Open, the Open Access imprint from EDP Sciences, is delighted to announce the launch of a fully Open Access Journal EPJ N Nuclear Sciences & Technologies which is edited in partnership with the French Nuclear Energy Society (SFEN). EPJ N is a part of The European Physical Journal (EPJ) which is a series of peer-reviewed journals covering the whole spectrum of physics and related interdisciplinary subjects. The journal provides a peer-reviewed platform for the communication of original research, ideas and developments in all areas of the peaceful use of nuclear energy, as well as on applications of nuclear particles and radiation and aims to serve its academic community, industry professionals, research institutions, government agencies and policy-makers concerned with the research, technological development and application of nuclear science and technology. EPJ N has a broad scope, and will publish technical papers, technical notes, critical reviews, selected papers from workshop and congress proceedings, computer code abstracts, and letters to the editor on a wide range of topics within the field of nuclear science and technology.